Earlier this week I attended the licensing of a young priest whom I have had the pleasure of mentoring for the past few years. He has been licensed as priest in charge to a parish in Eastbourne. The Bishop of Lewes, who was the presiding bishop at the service, preached a very helpful sermon about change and new beginnings. Much of what he said helped me in my own reflection as I prepare for my new ministry here in Waterlooville, which will be a new beginning for me as well as for you. Change is something which is often very frightening, and we can respond to it in a number of ways. We can be fearful and scared. We can be resistant and in denial. Or we can embrace change and hope for new beginnings and new growth, building on the past to create the future. But before you start to run for the hills thinking I am going to come in like a bull in a china shop and change everything, I want to say two things that I hope will allay any fears. Firstly, any change must be undertaken sensitively, and not before much thought and reflection. Change for changes sake is never a good idea! For this reason you will not notice any changes at all for the time being. And secondly, ministry is not something we do in isolation but that we do together, you and I. The bishop reminded me earlier this week that change too is something we do together, as we move forward into a new future. As your priest I am aware that I share my ministry with the whole Christian community in this parish as we strive to bring the love of Christ to the wider community. In his letters St. Paul reminds us that each and every one of us is endowed with particular gifts and a particular vocation to exercise those gifts. There is a little known poem (at least little known in the West) which comes from the Islamic Sufi tradition (that is the mystical tradition in Islam), which expresses this idea very helpfully. 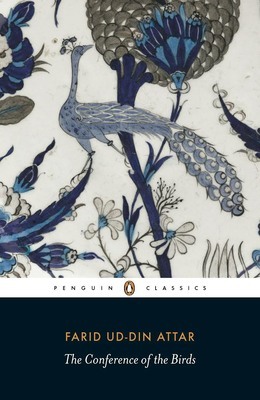 The poem is called The Conference of the Birds and was written in the 12th century by the Sufi poet Raid Ud-Din Attar. The poem is an allegory with several different layers of meaning, but basically it is about the mystical journey to God. It tells the story of the quest to find a king which is undertaken by the birds of the world. The king, of course, represents God, and the birds, you and I. There are two significant points to notice about the birds. Firstly, they are all different, from the largest eagle to the smallest sparrow. Secondly, they are not just characterised by their strengths, but also by their weakness. As a priest, I acknowledge that I have both. But in this I am no different from anyone else. The journey the birds undertake is successful because they take the journey together; acknowledging the gifts each brings to the quest. Within our church community, and as we seek to engage with new communities, we should do the same.